Sabbatai Zevi died in 1676. Although he died as an apostate, his movement would be kept actively alive by his prophet, Nathan of Gaza, and a cadre of unstable personalities. It did not even die with Nathan’s death in 1680. Remarkably, well in the 18th century, and even at the beginning of the 19th century, there were still vestiges of the movement. In the decades immediately following the Sabbatai Zevi debacle there arose a tremendous backlash that further unhinged the Jewish world. In Yiddish there is a phase that roughly translates: If you burn your hand on a hot pan, you will blow even when it is cold. Even when there is nothing to be suspicious of, you will nevertheless still be suspicious. In the headlong pursuit to be sure that you are not duped again, you will overreact to any threat – real or imaginary. That describes the 60-70 years following Sabbatai Zevi. Rabbi Jacob Emden was the son of the chief rabbi of Amsterdam, Rabbi Tzvi Ashkenazi (1656-1718), a famous Talmudic scholar and master of Kabbalah known by the name of a collection of responsa called Chacham Tzvi. Rabbi Emden was one of the most talented and unusual men the Jewish people had. His autobiography, Megillas Sefer, is absolutely fascinating and shows how unique he was. In it, he tells much of his life’s experiences, including many personal things he probably should not have told. He writes, for instance, that when he was a young man he fell in love with a girl and wanted to marry her, but his parents would not sanction the marriage so they married him off to someone else. Later, when this woman became a widow she helped him get the rabbinic position in Emden. There is a whole, involved story that one would not expect to find in a rabbinical autobiography. One of his most famous works is a commentary on the Jewish prayer book, the siddur. He was great linguist and he corrected the errors that had made their way into the siddur over the centuries. He not only corrected the texts, but explained and expounded upon them. It is a marvelous work, and it alone gave him great standing. However, we have over 30 books that he wrote. They cover every conceivable subject from Jewish law to Jewish mysticism, Kabbalah. One of the motivations that fueled his interest in Kabbalah – and he was a great Kabbalist – was the desire to find every last vestige of Sabbatai Zevi’s movement. It took someone of his expertise to read between the lines and understand a secret Sabbatean allusion or a legitimate expression of Kabbalah. Anyone who did not meet his approval was immediately subjected to a tremendous harangue. At this time, in the early 1700s, there appeared a great Jewish personage, Rabbi Moshe Luzzatto, also known by his acronym, the Ramchal. He came from a famous Jewish family in Italy from the city of Padua. He was not only a first rate genius, but also a truly holy person. But he was also a non-conformist. In an age of reaction against Sabbatai Zevi that was dangerous. When he was yet a very young man, before his twentieth birthday, he already had a reputation in northern Italy as a great master of Kabbalah. People came to him for Kabbalistic interpretations and advice. His youth worked against him in this case, and he immediately fell into disfavor among the establishment. They feared that he was another false Messiah in the making. The rabbis of Padua warned him to cease and desist immediately from delving into Kabbalah, or at least publicizing it to others. He was unable to hold back, however, and he continued these practices until they finally excommunicated him and drove him from the city. Wherever he went his reputation preceded him and his enemies hounded him. After he made his way out of Italy he came to France where he also he encountered a great deal of trouble. Many accusations were laid at his doorstep. All were false, but he was a convenient scapegoat. He was driven from place to place, and eventually he ended up in Amsterdam, where he made a living as a lens grinder. Though he was of outstanding ability and character, he was not appreciated by the people of his time. He did not dress in the usual rabbinic garb. Eyewitnesses say that he did not have a beard, which was not acceptable in traditional Jewish circles of the time. He wrote prose and poetry. He even wrote plays, which was really outside of the norm. Eventually, he came to the attention of Rabbi Jacob Emden, who thought that he was a secret follower of Sabbatai Zevi. After all, he displayed all the classic symptoms of Sabbatai Zevi’s followers: immersion in Kabbalah, non-conformism and non-adherence to party line of the establishment. Under the pressure of all the bans, Rabbi Moshe Chaim Luzzatto and his family emigrated from Amsterdam to Israel, where they settled in Tiberius. However, a cholera plague broke out and he died. He is buried on a hill outside of Tiberius in front of the cave which, by legend, is the cave where the great Talmudic sage Rabbi Akiva is buried. Rabbi Jacob Emden penned a kind of apology after the death of Rabbi Moshe Chaim Luzzatto. In effect, he said that he was sure that he was such a holy man that he realized that those who persecuted him did so in the name of heaven. It was to root out the scourge of the Sabbatai Zevi heresy. An even worse controversy, one which ripped the Jewish world in half, was between Rabbi Jacob Emden and Rabbi Jonathan Eybeschutz. He was the Dayan (Chief Justice) of Prague, one of the leading Talmudists of his time and the author of great commentaries on the corpus of Jewish law. He was also a great orator. There were two major Jewish communities in this part of Western Europe, Amsterdam and Hamburg, which was also called by the Hebrew letters spelling AHU, an acronym for three towns: Altona, Hamburg, Wandsbek. Today, all three are swallowed into the city of Hamburg, which was a major port city in Germany, but at that time they were three distinct communities. After serving as the Dayan of Prague, Rabbi Eybeschutz was appointed the chief rabbi of AHU. That was supposed to be the crowning achievement, but there he ran afoul of Rabbi Emden. Rabbi Eybechutz was a master Kabbalist and in this role he distributed amulets, which is a piece of parchment on which is written Hebrew words and letters. The amulet was said to protect its wearer against disease or misfortune. People came from far and wide to obtain these amulets. Rabbi Eybeschutz came to the attention of Rabbi Emden when one of the amulets was opened and brought before him. He claimed that he saw in the amulet the recitation of ideas and formula that were from Sabbatai Zevi. He therefore accused Rabbi Eybeschutz of being a closet Sabbatai Zevi supporter. This was 70 years after the death of Sabbatai Zevi. There was really no way to defend oneself against such a charge. Rabbi Emden went around Europe enlisting rabbinic figures to join him in his war against Rabbi Eybeschutz. Rabbi Eybeschutz was well into his sixties when he came to AHU/Hamburg, and had many disciples himself, so he also marshaled his own forces and a full blown struggle broke out. There were very few people who were able to stay neutral. One who stayed neutral was condemned by both sides. There were many rabbis in many communities who lost their position because they were not willing to take sides or they took the wrong side as far as influential people in the community were concerned. The controversy created another tremendously destructive and divisive rift in the Jewish world. Most of the rabbis felt that Rabbi Emden had made false accusations and that Rabbi Eybeschutz was not guilty of being a believer of Sabbatai Zevi. 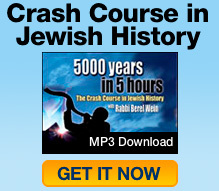 History has vindicated Rabbi Eybeschutz and his books have remained accepted. His descendants still exist among the Jewish people. Nevertheless, as late as the 1940s and 1950s there were leading professors who still maintained that somehow Rabbi Emden was correct and that Rabbi Eybeschutz was a secret believer in Sabbatai Zevi. What difference it made 200 years after the fact was also hard to know. This terrible struggle really consumed an enormous amount of the energies and time of the Jewish people. Great men tried to stop the struggle and were unable to. The famous Rabbi Yechezkel Landau of Prague (known as the Noda Biyhudah) and even the Vilna Goan were powerless to stem the tide. It fractionalized the Jewish in the worst imaginable ways. Each side conscripted the non-Jewish government against the other side. The emperor of Denmark – who controlled AHU/Hamburg — deposed Rabbi Eybeschutz and expelled him from the community. However, when his supporters were able to get the emperor’s ear (or pocketbook) he was brought back. Then Rabbi Emden was expelled. The back and forth made a shambles of the Jewish people. It contributed in its own way to the demise of the authority of the rabbinate and the demise of the authority of the community. One could not just shrug off this type of behavior or conflict. There is a great irony in their deaths. Rabbi Eybeschutz died first. He is buried in the Jewish cemetery in Hamburg. Rabbi Emden died on Friday morning and they wanted to bury him before the Sabbath. There was a driving rainstorm and when they came to cemetery they discovered that the grave that had been opened was right near Rabbi Eybeschutz. Since it was Friday and there was no time to dig another grave they buried him there. Thus, these two bitter adversaries in life are buried near each other in the ancient Jewish cemetery in Hamburg. This dispute again is traceable to the fact that the reaction against Sabbatai Zevi was so strong. Jews wanted to be certain that it could not happen again. They literally went on a witch-hunt. Compounding the travail, a great change was coming to the Western world. The Protestant Reformation had an impact on the Jewish people. It was a time of anti-clericalism, anti-religion. It was a time of agnostics, atheists and the complete rejection of religion, coupled with the rejection of the medieval world. The modern world did want to have anything to do with the medieval world. The modern world in the 1700s and in the 1800s believed that man alone had the ability to save himself and did not need any help from God. In fact, God was a hindrance to them. That to a great extent is really what shapes modern Jewish history. In summary, the influence of Sabbatai Zevi and his debacle is the turning point of modern Jewish history. It let loose forces that are here today. Some of the forces have been contained. Some still rage wildly within us. Many of the struggles we are involved in today are two or three centuries old. Our future is uncertain and the eventual resolution of our problems beyond our ability to know. History resolves all problems, but how and when and what exact fashion it will take is still left open.